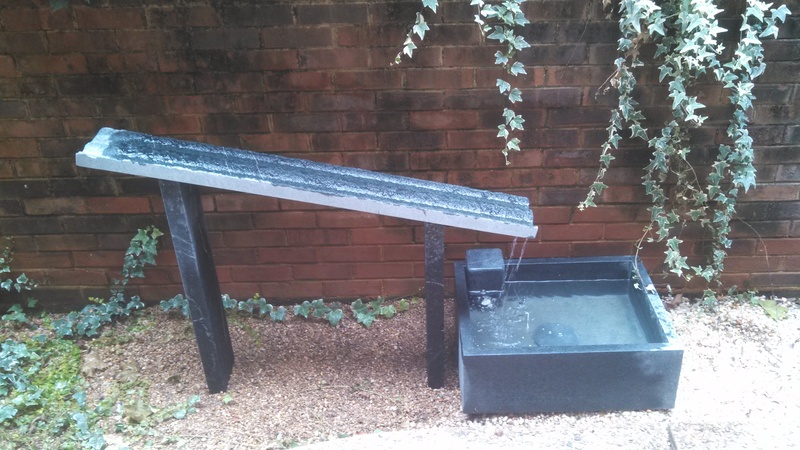 This water feature is in an enclosed apartment patio. The brick walls enhance the sound and project it through the patio doors into the farthest part of the residence. To see and hear the fountain watch the video below.